One of the looks I made to wear at New York Fashion Week was this "90's cool" all black set. The look features a mesh panel corset top and black wrap skirt with grommet detailing down the front. I'm glad I went with this design because there was a lot of grommet embellished garments on the runway this year. 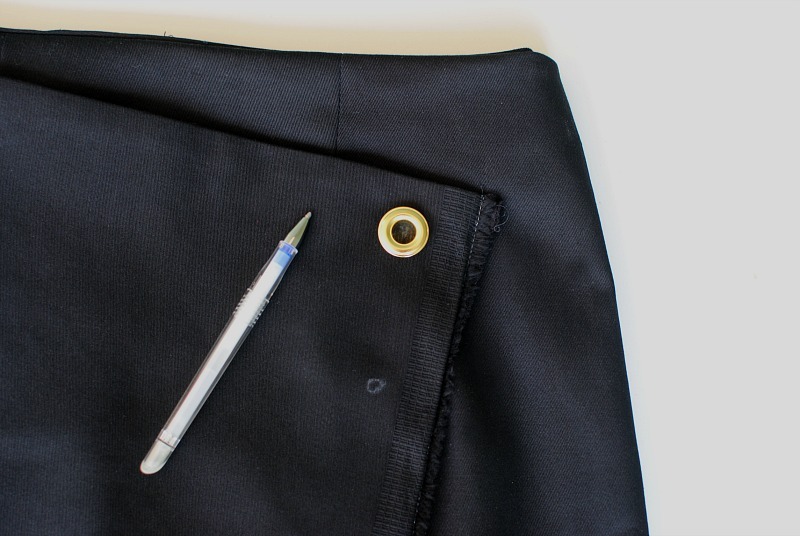 If you've followed along here you know I'm a fan of using Dritz eyelets on my projects. 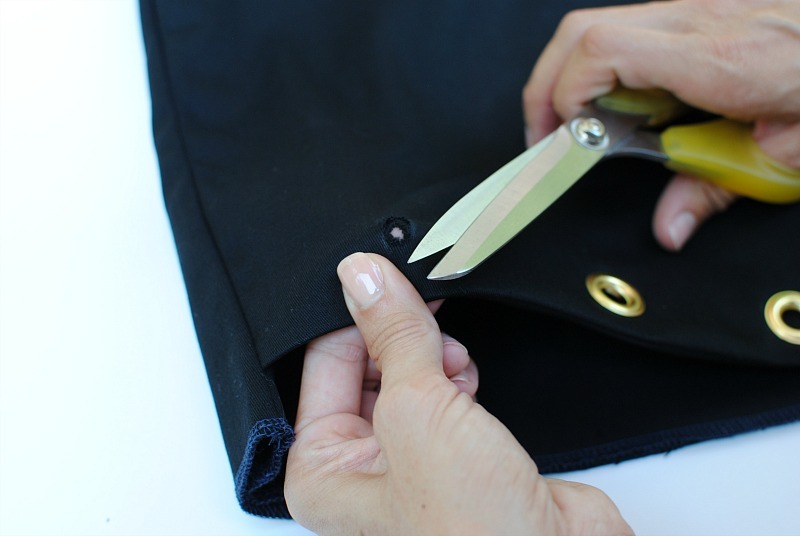 Whether for a drawstring casing, lace-up closure, or as a decorative detail I use them often. Make a wrap skirt here or try a pattern like this one. 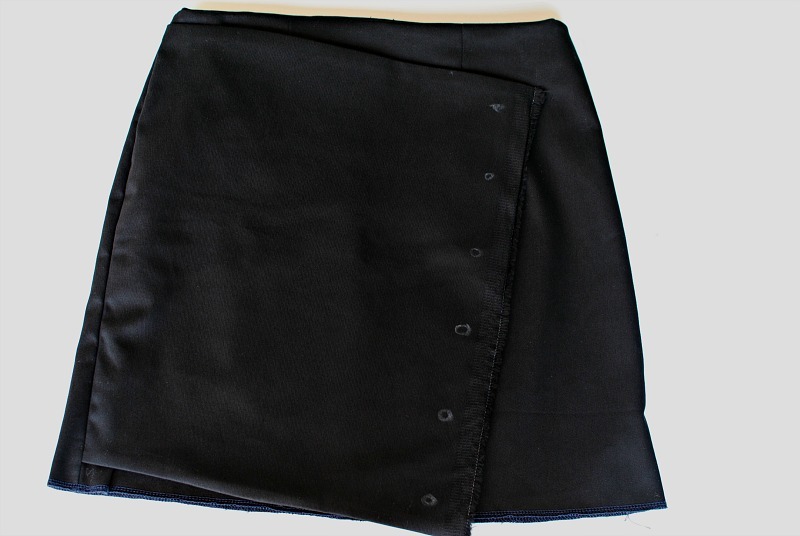 I made a basic skirt and then added a front panel to the side seam. Evenly space out the location you want the grommets to be. It helps to lay them out. Then trace the inside opening of the grommet barrel with a marking tool. Cut out the holes. I typically cut a touch smaller because the fabric can stretch once cut. 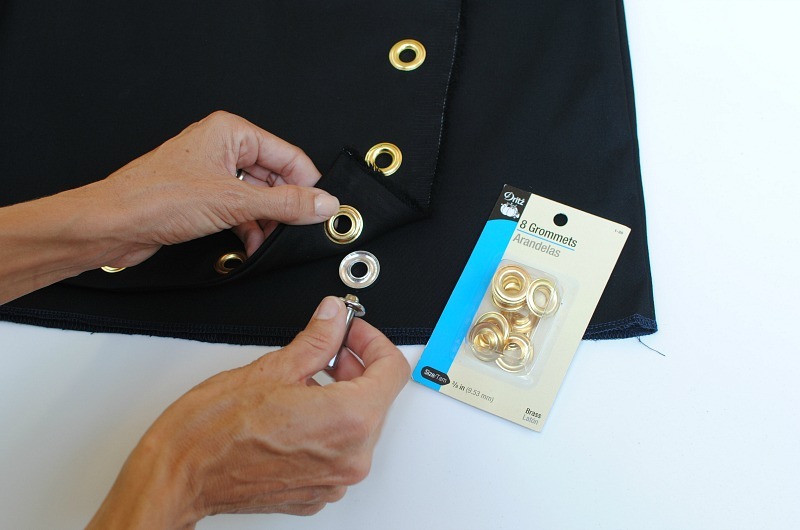 Use the 2 Part Grommet Tools to secure the grommets into place following the user instructions. 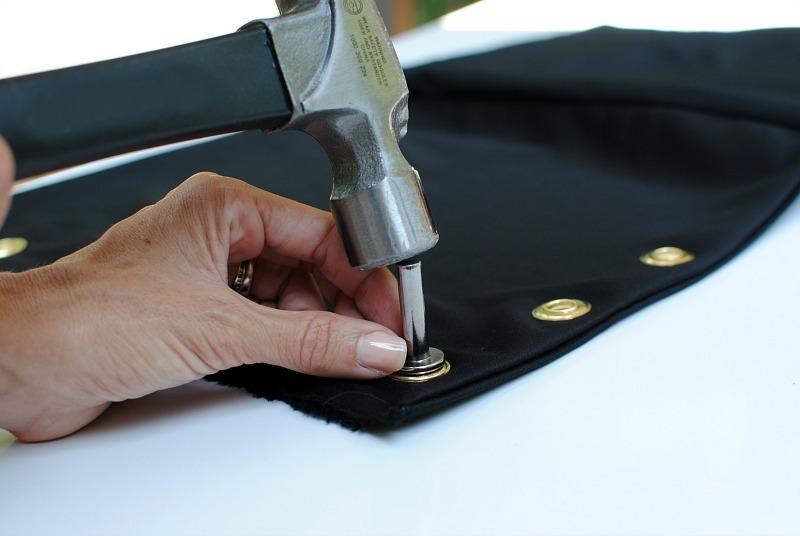 Give a good hit with the hammer once or twice on a hard surface and it will secure the grommets. I'm really loving how these turned a basic black look into street style worthy. This was the overall favorite look for me while attending New York Fashion Week. This is really an amazing post for the user of Microsoft windows shortcut keys. The skirt looks so great on you! Thank you for the tutorial! !